This is a 2’ x 4’ x 1.5” sign I carved out of Duna board (the letters are .4062 tall). 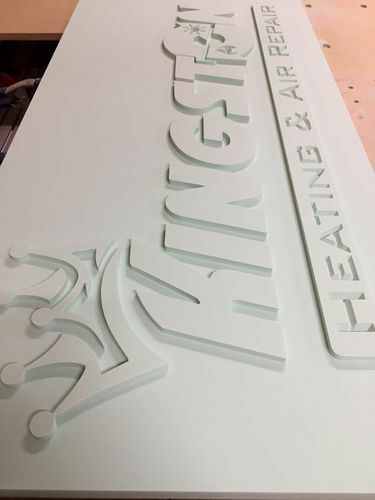 It is an all weather material used in the sign industry. It cut amazingly well with regular carbide bits. If the customer is satisfied with it, I will paint it a solid color and then colorize the letters.